There was no winner of this weeks lotto jackpot of €8,400. €20 winners were Brid McGowan, Tony Collins and Ciaran O Donnell. The numbers drawn were 7, 12, 23, 31. Next weeks draw takes place in Creightons. The launch night of our eagerly anticipated I’m a Celebrity Get me out of here! event took place on Friday last in the Moylurg Inn. The launch night, which was sponsored by Callan Tansey Solicitors, was a resounding success and all in attendance were treated to a sample of what is to come for the main event. 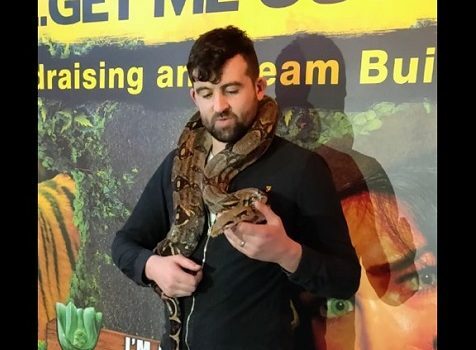 The 24 contestants were unveiled and we were also introduced to Rocky the snake, who will be bringing some of his friends to the event, which will take place in St Joseph’s Hall on Saturday 16th March 2019 at 8pm. We would like to thank the main sponsor of the event is Landescape pty Ltd, and our premium sponsors are Callan Tansey Solicitors and McGovern Directional Drilling. Tickets will be on sale for the event shortly. The 24 brave contestants looking to be crowned Boyle’s very first King or Queen of the jungle are Sham Hanifa, Saoirse O’Flaherty, Shauna Moran, Mary Flynn, Enda Smith, Ian Cooney, Sinead O’Donohoe, David Mc Kenna, Laura Horan, Ray Hannon, Mark O’Connor, Jacinta Callaghan, Vicki Lavin, Donal Connaughton, Niamh Beirne, Joe Ryan, Michael Cawley, Mairead McKeon, Damien Butler, Karl Keenan, Seamus Kane, Barry Simon, Derek Brady and Seanie McDermott. 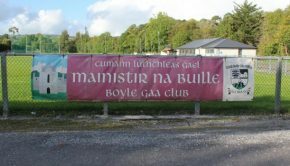 The Boyle GAA boys youth league campaigns kicked of this weekend. 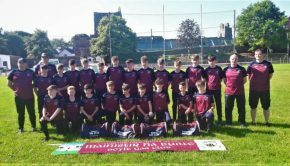 It was an early start to the league season, with up first our U16 lads who put up spirited game to St Brigids in Kiltoom. With just the bare minimum 15 available for selection the lads made a good account of themselves going toe to toe with a strong St Brigids side throughout the game. At half time they only were trailing by 2 points and then nearing the end and pushing for a goal to equal the tie got caught on the break as St Brigids putting to more points on board to seal the win by 5 points. This was a great performance from our lads and a young u16 side, with a good few lads from the u14 team stepping up to the mark to make up the 15-man team. Well done management and players and thanks to the u14 lads for stepping into to the fray. 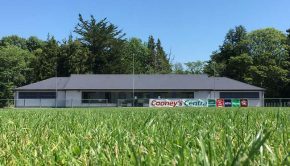 Boyle Ladies GAA are hosting a second registration evening this Wednesday the 13th from 7-8pm in the club house. 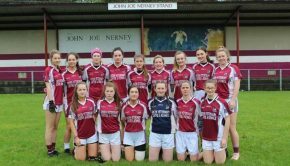 This registration is for all girls from u8’s to Minor excluding the Nursery program, registration for which will be later in the year.